This handmade custom mosaic house number plaque is made from 3/8″ polished marble tiles. It can be ordered as is, choosing the colors that you see below. You can also choose your own colors by reviewing the color samples link below to make your own color combination. The size and price for these beautiful and elegant mosaic house numbers will change depending on how many numbers are in your plaque. The mosaic house numbers come mash mounted, they need to be mounted and grouted either on a board or directly on the exterior of your home. Due to the customized nature of this product, there are no returns. 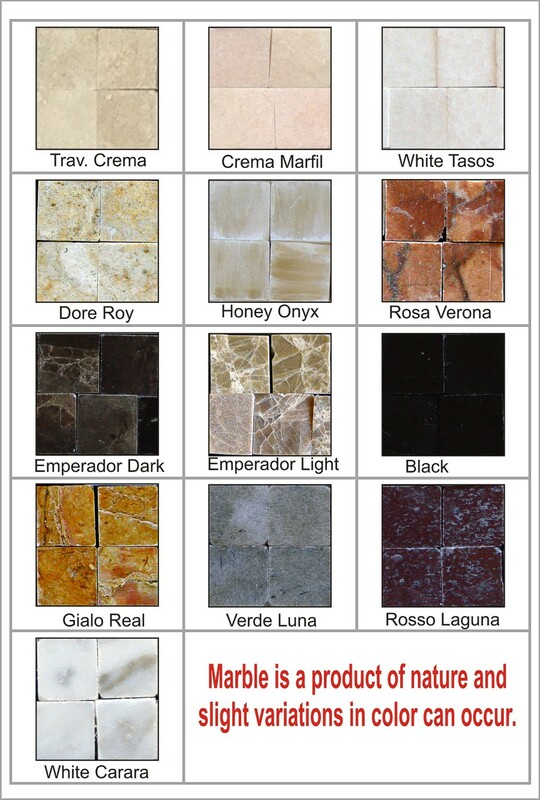 Marble is a product of nature and slight variations in color can occur. Visit Our Store at http://www.mosaicmosaic.com CAESAREA DESIGN, INC. is a manufacturer and importer specializing in custom mosaic design: Borders, Medallions and Murals. We've been in business for 12 years working with high-end stores and top designers from Florida to Dubai. Our clients love to work with us because we: * think outside-the-box * create unique works of art * exceed expectations. If you are looking to create something unique, something different, CAESAREA DESIGN, INC. is the company for you. Our customer service and experience is second to none. The mosaic tiles look beautiful. The neighbors even noticed and complemented how nice it looks. Yes, the process to hang takes time, but anyone can do this. One should be able to print the instructions from your website. All of the steps will not print. This was a fun project. Thanks to the owner of the Hollywood, Florida, location, this plaque turned out perfect. He willingly adjusted the size and helped me understand it needed a frame to be able to hang on uneven limestone. It is nice to know there are still helpful, patient people around to work with you. Click the button below to add the Mosaic House Numbers / Athens – H1P / Free Shipping to your wish list.